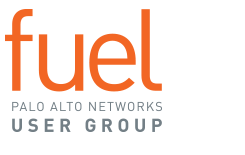 Fuel User Group is an independent community of cybersecurity professionals, led by users of Palo Alto Networks® and other security technologies. Founded in 2014, Fuel helps members advance their careers through online and in-person networking and education opportunities, as well as the opportunity to share their expertise with the community. Our members can tap into a global network of professionals to share real experiences, pick up best practices and better protect your organization from threats. Fuel User Group has local chapters in cities around the world, where cybersecurity experts can connect in person and online to share information and resources, and to grow their professional network. Fuel has grown to over 25,000 members in 150+ countries. Our community includes both newer cybersecurity professionals and seasoned experts across dozens of industries. Fuel Members have access to the latest in technical information from Palo Alto Networks, as well as valuable peer-driven resources on threat prevention, networking and connectivity, mobile security and more. We connect online through our forums and online resource center, and in person at Spark User Summits, local events where members share experiences and hear the latest from experts in the field.